In the United Kingdom, the archaic policy of banning certain dog breeds also known as breed specific legislation (BSL) is still in effect. Governments, like the UK, have imposed serious restrictions that could lead to fines and prison sentences for the owners of banned dogs, and mandatory euthanasia for the dog in question. 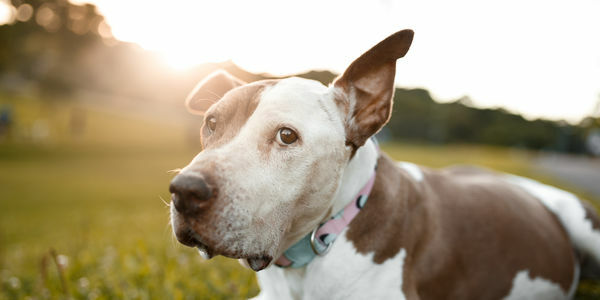 In the UK, four specific breeds are banned: the pit bull terrier, Japanese Tosa, Dogo Argentino, and Fila Brasileiro, however, ANY dog that bears resemblance to these breeds could also end up being confiscated and put down. That means there is no genetic test to determine whether a family pet is a "dangerous dog." Instead, according to the government website, "[w]hether your dog is a banned type depends on what it looks like, rather than its breed or name." And who decides whether a dog looks dangerous? "A police or council dog expert will judge what type of dog you have and whether it is (or could be) a danger to the public." The ridiculousness of this policy becomes even more obvious when you realize the subtle differences between breeds like the Staffordshire Bull Terrier and the Pit Bull. Both dogs are commonly called pit bulls because of their striking similarities, but in the UK only one — the pit bull terrier — can be confiscated and killed by authorities. The Staffordshire bull terrier "Staffie" on the other hand, has just been named the country's favorite dog. The Staffie narrowly escaped being banned last year when some lawmakers were considering adding it to the dangerous dog list. Fortunately, Department for Environment, Food and Rural Affairs minister George Eustice came to their defense. On the floor he told fellow MPs "Like any dog, they should be socialized at an early age and be properly trained to avoid behavioral problems, but for anyone thinking of taking on a dog, there is no reason why a Staffordshire bull terrier should not be considered." Ironically, the same could be said about the other four breeds that are currently banned. Study after study has shown that there is no inherently dangerous breed, only irresponsible owners that encourage bad behavior. Governments all over the world including Spain and Netherlands have all tried to use BSL to decrease dog bites incidents and they have all failed miserably. In Spain, after the ban had been in effect for five years, investigators found that there was no significant difference in the number of dog bites. And in the UK statistics show that dog bites have even increased since the ban. BSLs don't work. It's time to end this anti-science, illogical and cruel policy and implement dog safety laws that punish irresponsible owners rather than innocent dogs. Sign the petition and demand that Parliament repeal their dangerous dog laws.